This impish 6" all bisque features painted hair and eyes and has two top teeth showing through his smile. Buster is on a porcelain body with moveable arms and legs. 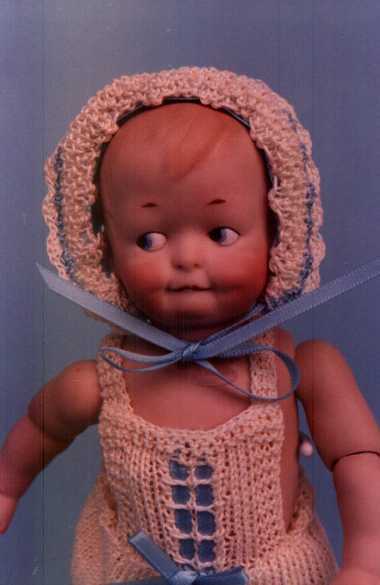 His clothing is a knitted romper with a stylish hat. Buster is numbered and signed by the artist and he is limited to 100.